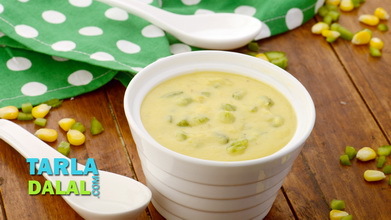 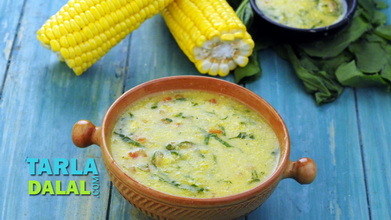 Crushed and whole sweet corn comes together with a colourful assortment of juicy vegetables in this sumptuous soup. 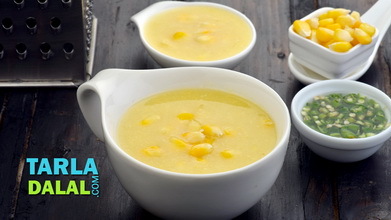 Once you prepare the veggies and corn, this Sweet Corn and Vegetable Soup can be made in a jiffy with readily available ingredients. 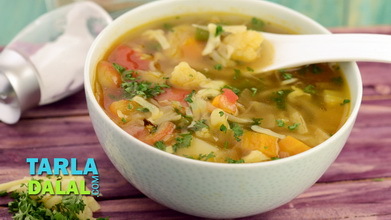 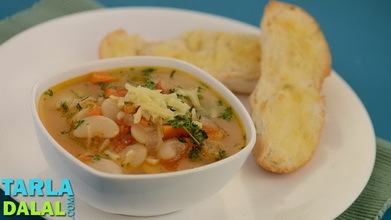 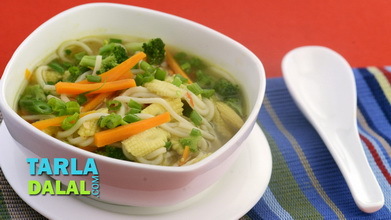 This soup is dominated by the crunch of vegetables and the lingering aroma of ginger and garlic sautéed in butter. 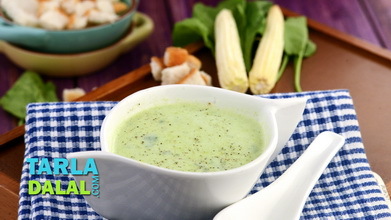 Relish it slowly, enjoying the variety of veggies that clamber for your attention in every spoonful of this flavourful soup. 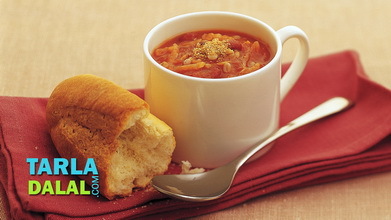 Serve immediately with chillies in vinegar.